It is our mission to offer home and business owners the epitome of care, honesty, craftsmanship and knowledge towards the remodeling/restoration/building goals of their home. Thorough consultation, estimation and completion of whatever need or dream they may have. It is our goal to provide the most complete remodeling service available in our region by covering as many bases as possible without having to hire multiple contractors to achieve desired results. Serving the St. Louis Area remodeling needs from design to building. Room additions, specializing in storm damage, fire damage and other Insurance Restoration Work. Custom remodeling of kitchens, baths, basements, and any room along with construction of decks, roofs, siding and installation of new windows. Creative Renovations & Building applies to Commercial and Residential and all aspects of home improvement, architect, electrician & plumber on staff. Creative Renovations & Building is an A+ accredited member of the Better Business Bureau and serving St. Louis since 1991. President Paul Schaffrin manages full service remodeling assistance to homeowners and business ranging from design to completion. 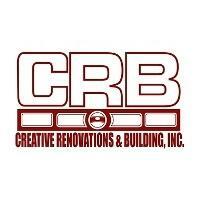 Reviews for Creative Renovations & Building, INC.